Christopher Owens enters his second season at West Hall and his first as Head Middle School coach. Chris works at West Hall Middle School. Chris lettered at San Jose State from 2005-2008 earning all conference honors during 2007 and 2008 years. After receiving his BA in AFAM, he was drafted 3rd round (90th overall) to the Atlanta Falcons in 2009. 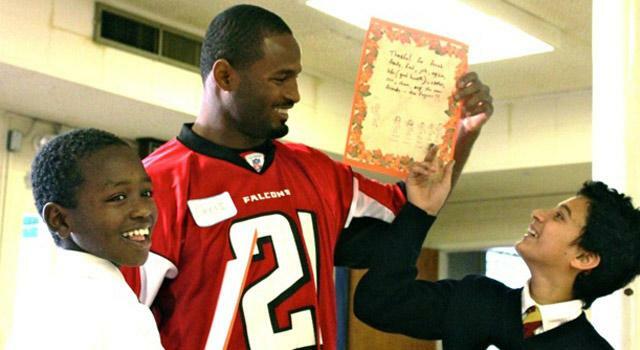 As a member of the Falcons Christopher was awarded Man of the Year in 2010 for his passionate and willingness to serve the Atlanta community. The former 7 yr professional, Christopher now loves spending time with his 3 kids (Chris jr, Cassius and Christian) as well as developing young athletes into successful young men.